Tencent Holding Limited is Asia’s most valuable company that is constantly growing and evolving. Founded in 1998, the current company market value is $580 Billion. It is a conglomerate whose subsidiaries specialize in various internet-related services and products, entertainment, AI and technology in mainland China and the globe. It is the first Asian company to cross the $500 Billion mark and it is willing to pump $2 Billion into the Ripple (XRP) project. 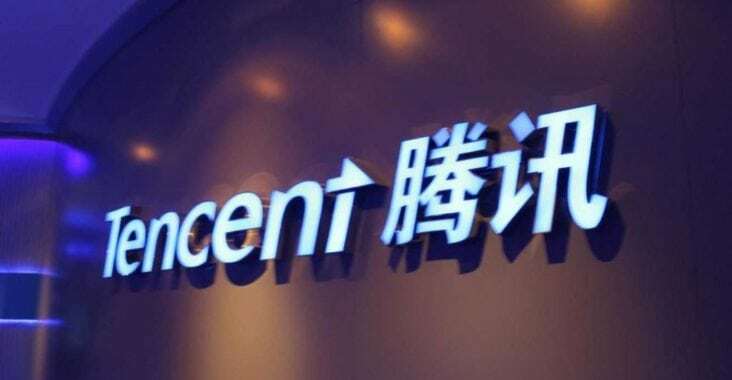 Tencent is also one of the world’s biggest investment corporation with one of the largest internet and technology influence in the globe. It also has a reach in the gaming industry and various social media platforms. Its services include social networks, music, web portals, e-commerce, mobile games, internet services, payment services, smartphones and multiplayer online games. Their well known messaging apps such as Tencent QQ and WeChat are big in mainland China and continue to expand with each day. The Tencent Music aspect has more than 700 Million users and 120 Million paying subscribers. It is such a background that the big company wants to pump $2 Billion into the Ripple project. One can only imagine they want to integrate their already prominent services and apps with the payment settlement solutions offered by Ripple and perhaps even buy some coins to be used on their messaging platforms. According to sources, Tencent will offer the said $2 Billion dollars and convert them to Ripple (XRP) coins in the next 12 months. The plan is to integrate Ripple technologies on its WeChat and other social media platforms in a bid to compete with Alibaba and Amazon payment services. This will also make the social media arena more interesting with Telegram also scheduled for a second round pre-sale of its ICO. No one knows the exact date of the second round of the ICO, but it is sure to raise the total to over $1 Billion even before offering it to the public in a final crowd funding push. With all this excitement in the Crypto-Verse and social media, one can only be optimistic that cryptocurrencies are here to stay despite the current FUD and market dips. It seems the corrections are a sign of better things to come. It is always darkest before dawn! Tencent plans to use Ripple’s xVia, that is only limited to corporate, payment providers and banks, as the basic tool on its products accessible to the mass market. It is such products like xVia, that have banks signing in to test or use Ripple payment settlement services. Over 80 banks and money remitting service providers around the globe have signed up for Ripple services. Moneygram and Western Union are the prominent companies that are making the news daily. However there are some banks such as RBC of canada, IBS and ATB that go under the radar of the major news outlets. The main reason that Ripple payment settlement services are attractive to banks, is the fact that they are secure on the blockchain, cheap ($0.0004 per transaction) and fast (3.3 seconds). The regular SWIFT transfers are not completely free of vulnerabilities and shortcomings. According to Wikipedia, very intermediary bank that handles a wire transaction can take a fee directly out of the wire payload (the assets being transferred) without the account holder’s knowledge or consent. With Ripple payment settlement services, such practices are eliminated completely at the benefit of the customer. Also, since the entire transaction happens on the blockchain, every expense is tracked and recorded on the ledger making it easy to investigate suspicious charges. However, all this great news has not helped with the price of Ripple (XRP) in the market. Ripple is currently trading at $0.67, down 13.67% from 24 hours ago, and at the moment of writing this. Current optimism on the value of the coin at the end of the year, puts Ripple (XRP) at $10.